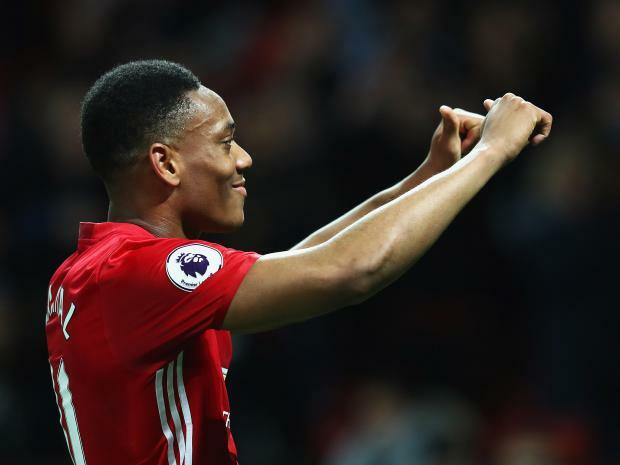 Anthony Martial has spoken out about his future as a Manchester United player, and revealed what makes him “really keen” to prolong his career at Old Trafford. The youngster had an excellent first season under Louis van Gaal, yet has struggled to reach his former heights under José Mourinho. His drop in form has caused him to be linked with a move away from the club at times, including a rumour that suggested he would head out on loan to Sevilla in January. Regardless of this, the forward has insisted he wants to stay at the club, citing the fans as one of the major factors in making his decision. “For me, what’s really special here is the supporters. They’ve been really outstanding with me. I think that’s what goes a long way to making me feel at home and at ease, and makes me really keen to stay here at the club,” he told Inside United. “In France, even if you’re one of the best players around, they might begin to boo and jeer you if you go a couple of games without scoring. But here it’s just the opposite, they’ll try to cheer you on so you might be able to score, and so then you grow in confidence. Despite his struggles this season, Martial is still a fan favourite, especially after such an impressive first season. Due to this, Martial has earned his own chant from the United fanbase, and explained how happy he feels when he hears it. “Yes, it’s always nice to hear that song. It really pushes you to do even better, it really makes you want to give everything you’ve got to not let those fans down in any way,” he added, when asked about the chant. “I honestly think that every time they sing it, I always feel just as happy as the first time I heard it. Because of his debut goal against Liverpool, Martial will always be in the hearts of United fans, and we all hope he can fulfil his incredible potential at Old Trafford in years to come.